A rare 1954 Bugatti type 101C coupe which was owned by Nicolas Cage will be on sale at Bonhams in Chantilly, France in September. Bugatti announced in 1951 that in the following July they would release 50 Type 101 cars modeled off the company's pre-war Type 57. Just six Antem coupe's were ever created, and now the estimate for this rare car is $1.7 million – 2 million. 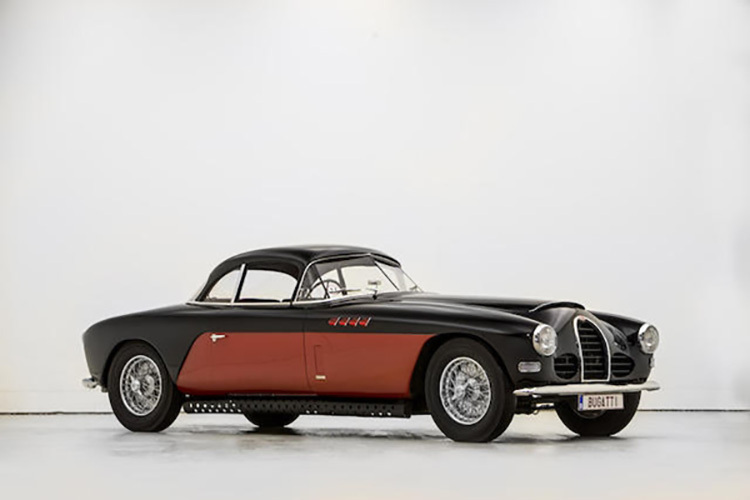 Phillip Kantor, Bonhams European head of motoring said: "The 101 offered is one of just six 101s built, and the only one featuring this particular design of unique coupé coachwork by Antem." Search Bugatti in Barnebys realized prices and at upcoming auctions.